Star Girl - Become a fairytale princess in Star Girl: Princess Gala! 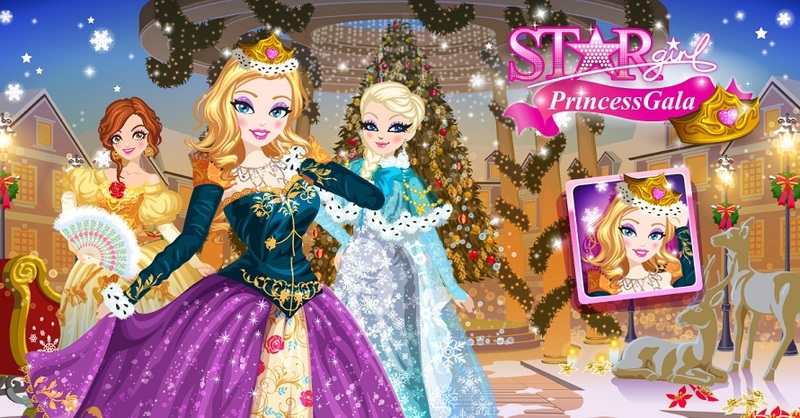 Home Featured Slide Become a fairytale princess in Star Girl: Princess Gala! Have you ever dreamed of becoming a princess? Live the luxurious life of royalty and captivate handsome princes in the latest entry to the critically-acclaimed fashion RPG—Star Girl: Princess Gala! This chic fashion simulation game puts you in the heels of a rising star whose goal is to build her career and to find her Prince Charming. Wear stylish gowns befitting a royal princess, shop in the new Christmas-themed fashion avenue, meet other Star Girls, compete in beauty pageants, and build your career as a model, actress, or a singing phenomenon! In addition to these traditional Star Girl features, Star Girl: Princess Gala introduces handsome princes who will sweep you off your feet just like in the fairytales! Find the magical fairy to open the door to meet the princess. Give the fairy magical stones and keys to unlock a prince. Choose which item is the prince’s favorite, so he can become your boyfriend! If the crown fits, then by all means, wear it! Download Star Girl: Princess Gala, FREE!